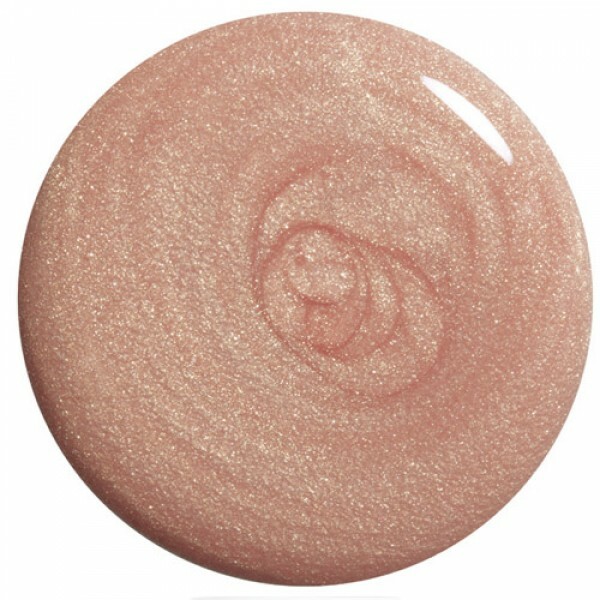 Peach pink golden shimmer, very feminine. Considering you cannot see the nail polish you are buying it is comforting to know that you can buy a small size to try it out first. I applied this to my toe nails and was really impressed with the overall effect. The color is gold with peachy undertones and although you can see it, it looks very feminine, classy and understated. It was easy to apply and lasted for 2 weeks. Considering the weather turned somewhere in the middle, that was a few days in sandals and the rest in closed shoes. Not bad. It lasted longer than I thought it would. I would buy again this nail polish in another color.